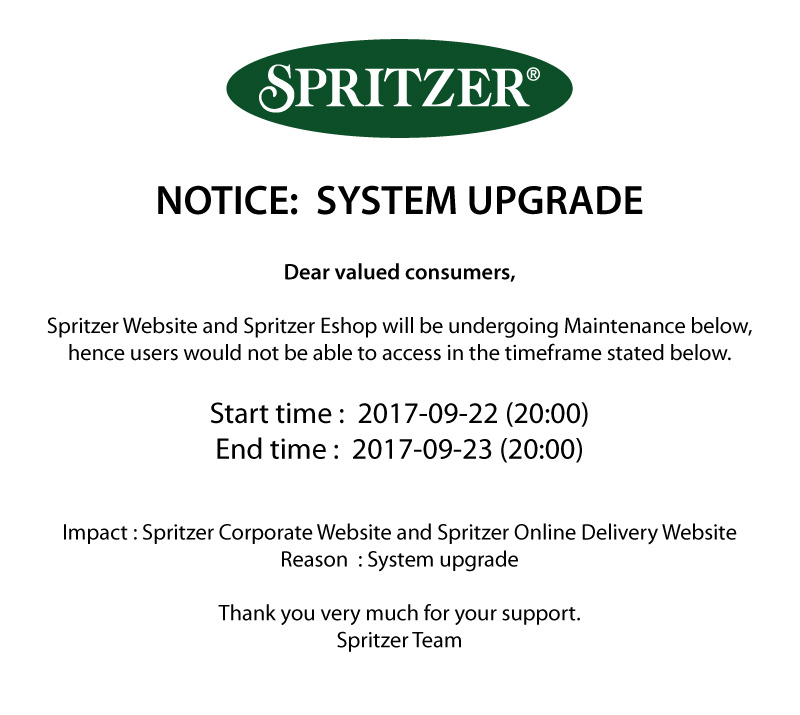 Office Phone : 1800 88 3111 | Email : info@spritzer.com.my | Lot 898, Jalan Reservoir, Off Jalan Air Kuning, 34000 Taiping, Perak Darul Ridzuan, Malaysia. Thank you for your message . Our team will contact you as soon as possible .